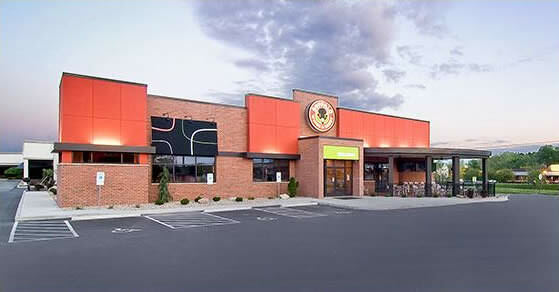 Buffalo Wings & Rings is a restaurant brand where everyone is a VIP, worthy of the ultimate sports restaurant experience. With over 45 locations, we're taking game time to the next level with a bright, inviting dining room, 50+ TVs, elevated fan experiences, a chef-inspired menu and of course our signature wings. With diverse flavors like gyros, gourmet hot dogs, fresh salads, homemade dressings, craft beers and the meatiest, tastiest wings on the planet, we've got something to satisfy every kind of fan. So whether our consumers are catching a game or grabbing a meal with friends and family, they'll always have the best seat in the house. Welcome to the club-level sports restaurant experience that goes way beyond just buffalo wings. The pigskin-chicken wing bond - the average NFL game attracts 17.5 million viewers. At BW&R we offer easily shareable and affordable great "group food," the perfect pairing for watching sports. 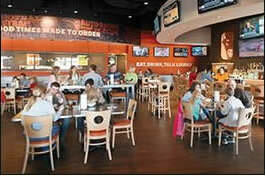 Franchisees are the driving force behind the Buffalo Wings & Rings brand. So when you join us, we have your back every step of the way. With personal, on-the-ground support, vendor buying power, store design & construction, and marketing to build a strong brand identity for your business to thrive. Way beyond just buffalo wings we believe in upping the game with a diverse, delicious menu and selection of beers and cocktails where quality ingredients are always #1. From our fresh, never frozen wings & burgers, to exciting new items like Parmesan Garlic Aioli Fries & healthier alternatives like Wasabi Shrimp salad, we go where those other places never roam. Our Executive Chef combines fresh, quality ingredients with casual fare to create dishes that perfectly match the laid back atmosphere of the restaurant. One bite of our award winning menu items, and you'll understand what keeps our consumers coming back. Creating the tastes people crave takes a careful hand, great instinct and a never quite-satisfied attitude. Without question, our people are the biggest part of the experience at BW&R. We're looking for passionate partners with successful restaurant management and/or foodservice operations experience and the ability to create and manage an organization that effectively recruits, trains, retains and motivates a high-performing team. An understanding of the real estate development process and a drive for local store marketing is a plus. BW&R offers opportunities for single, multi-unit and area developer opportunities available in most markets. We turned up the lights and transformed the dark, "man-cave" sports bar experience and created the perfect relaxed setting for catching a game, socializing, and everything in between. Don't call us a "sports bar," we're a "sports restaurant" that appeals to sports fans of every jersey size - men, women and families. We offer a flexible store design from 4,500 to 6,000 feet - including freestanding, end cap and conversions. *Figure reflects year-over-year increases in average annual unit sales from 2006 through 2013, with average annual unit sales calculated by aggregating the gross sales figures for all open restaurants during a calendar year and dividing that figure by the number of weeks those restaurants weropen during the year, as published in Item 19 of our March 2014 Franchise Disclosure Document. These figures are as follows: For 2006, average gross sales per week were $12,119 (with 6 of 12 stores (50%) exceeding this figure); for 2007, average gross sales per week were $14,416 (with 15 of 27 stores (56%) exceeding this figure); for 2008, average gross sales per week were $17,388 (with 18 of 46 stores (39%) exceeding this figure); for 2009, average gross sales per week were $19,940 (with 23 of 59 stores (39%) exceeding this figure); for 2010, average gross sales per week were $21,482 (with 25 of 59 stores (42%) exceeding this figure); for 2011, average gross sales per week were $23,679 (with 25 of 45 stores (43%) exceeding this figure); for 2012, average gross sales per week were $26,177 (with 23 of 47 stores (49%) exceeding this figure); for 2013, average gross sales per week were $29,225 (with 23 of 44 locations (52%) exceeding this figure). A new franchisee¹s results may differ from the represented performance. There is no assurance that you will do as well and you must accept that risk. 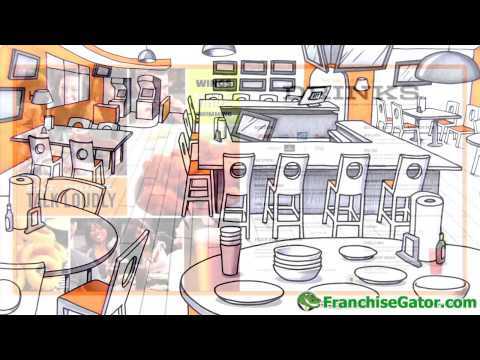 This information is not intended as an offer to sell, or a solicitation of an offer to buy, a franchise. It is for information purposes only. Currently, the following states regulate the offer and sale of franchises: California, Hawaii, Illinois, Indiana, Maryland, Michigan,Minnesota, New York, North Dakota, Oregon, Rhode Island, South Dakota, Virginia, Washington, and Wisconsin. If you are a resident of or want to locate a franchise in one of these states, we will not offer you a franchise unless and until we have complied with applicable pre-sale registration and disclosure requirements in your state. @The_Real_Kub @B_Hall23 And what did you think? ?